Much of civilization is based on the principle that children are best socialized in a home by two biological parents in a committed relationship. As a result, couples have always been encouraged to marry and remain married. And yet the federal tax code takes a decidedly anti-marriage stance. Someone who is working but makes a low income qualifies for the Earned Income Tax Credit (EITC). This credit is refundable. So even if you owe no federal or state income tax, you may still receive this money as a refund. The EITC formula calculates your credit based on your salary, filing status and number of children. Starting from zero, every dollar of salary increases your credit until you hit a plateau. Then the credit decreases for every additional dollar earned. You also gain a higher credit for more children, up to three. The maximum EITC plateau is at $9,100 of income, decreasing again at $16,700 for having one child. For having two or more children, the plateau hits at $12,750 and decreases again at $16,700 for single filers and at $21,800 for married filers. The EITC encourages people to work or be married to someone who is working. But a household receives no credit if its income is too high. The maximum income for a couple is not double what it is for a single person. Your spouse’s income can disqualify you from credits you could have received if you had not been legally married. A married couple with two children earning the same $34,200 would only collect $2,735. The formula penalizes them $3,603, or 10.5% of their salaries, simply because they are legally married. The marriage penalty only increases as income and the number of children rise. The worst marriage penalty is for couples earning between $26,000 and $60,000 who have three or more children. The EITC does not offer an equal increase in credit for every child. The first child is worth the most, with diminishing benefits for more children. It pays a pittance for the third child compared to the first two and nothing for any additional children. Yet unmarried couples can split children on their tax returns, giving them the greater value of a first and second child credit for their fourth or fifth child. The phaseout of the EITC for married couples is only extended by about $5,000. Combining two salaries pushes dual-income married couples out of the benefit range. A single person earning $25,000 with two children still receives 68% of the maximum benefit. The EITC is beginning to phase out, but the benefit is still $3,565. If two unmarried partners each earning $25,000 claim two children, they would receive $7,130 on top of their combined income of $50,000. The same couple if they are married with four children receives just $52 because their combined income pushes them to the very end of the phaseout portion of the EITC. The EITC requires earned income. Thus someone with children but no income can start receiving a small benefit by marrying someone with income. But very few people with children have no income. As a result, any marriage benefit is small. Conversely, the marriage penalty reaches a maximum of $8,400. Before the EITC, earning an additional dollar resulted in the loss of more than a dollar of benefits. The EITC was implemented to replace those entitlement programs and encourage some minimal amount of work followed by a very gradual phaseout of benefits. This phaseout ensures that every additional dollar of earnings results in at most 21 cents of lost benefits. Virginia, like 23 other states, has a state EITC. If your Virginia gross income is below the federal poverty level, you get 20% of the federal credit in state tax credits. The EITC did improve on the welfare system of the early 1970s. But it is by no means perfect. Studies suggest that about 26% of taxpayers claiming the EITC do not rightfully qualify for it. A total of 20% of households entitled to the EITC fail to file for it. The EITC has political support partly because it is better than many of the alternatives. It is an incentive to work, or at least to report work and pay the FICA and Social Security taxes. Studies suggest it increases employment rates. And because it operates as part of the tax code, it is free of the waste normally associated with entitlement programs. 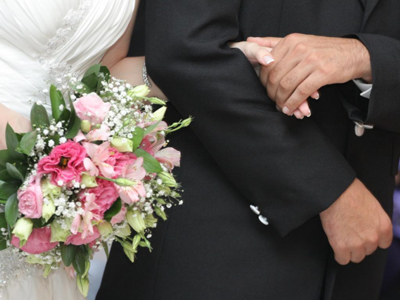 Extending the EITC to every individual regardless of marital status has little risk. When one spouse is highly productive, there is already a disincentive for the other spouse to work. This would help equalize this penalty. And no one can qualify if they have more than $3,200 from unearned investment income. Wealth management is based on the idea that small changes can have great effects over time. That principle is even more important at low income levels. An extra $6,338 for a struggling family of four might help them get some traction and start building a sustainable life together. If your taxable earnings are under $50,270, check if you qualify for the EITC this year. I would hate to see such families pass up the benefits of marriage all for an extra $3,500. Married people live longer and healthier lives. Encouraging marriage might do more to control the costs of health care than Obama’s so-called Patient Protection and Affordable Care Act. I can see a future in which young couples have a religious ceremony and avoid getting legally married. Legal marriage is already on the decline. The cavalier attitude toward marital commitment has diminished how much difficulty couples are willing to endure. We don’t need to heap higher taxes on marriage as well. These tax decisions are not completely out of our control. They are a direct result of general ignorance about taxes and tax redistribution. We must understand economics well enough to move beyond populist sentiment and support less discriminative tax policies.